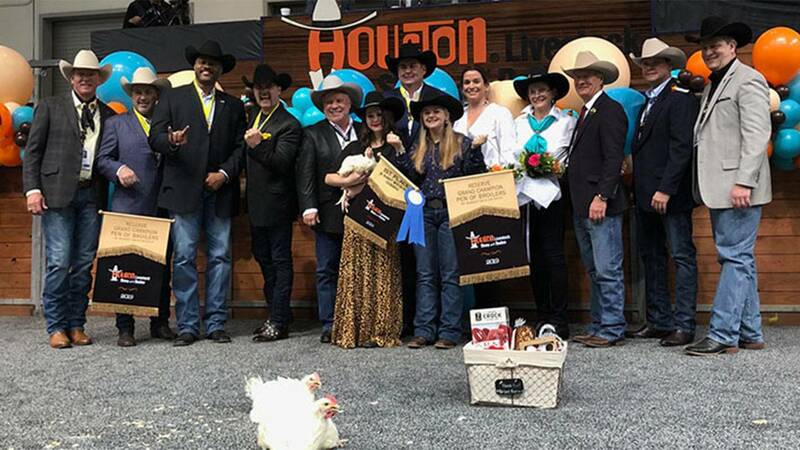 HOUSTON - Four world records were broken Saturday at the Houston Livestock Show and Rodeo Junior Market Poultry Auction. Donors Kristina and Paul Somerville purchased the Grand Champion Junior Market Pen of Broilers for a world record-breaking $220,000. Donors Wade Gibson, Scott Walker, and Sheri and Rob Walker purchased the Grand Champion Junior Market Turkey for a whopping $190,000. 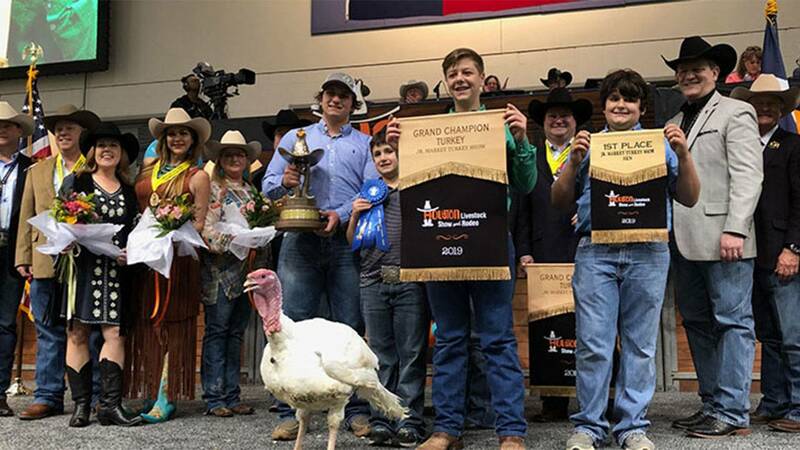 Donors Jeff Aronoff, Budweiser, and Victoria and Parker Johnson, and Greg Miller purchased the Reserve Grand Champion Junior Market Pen of Broilers for $165,000. 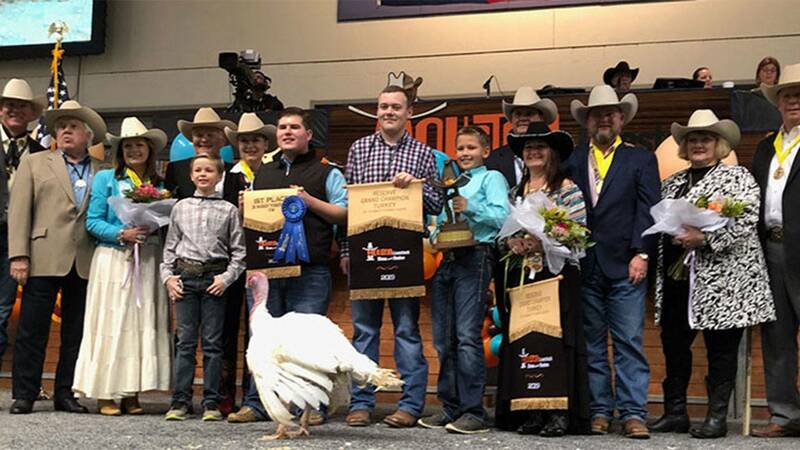 Several donors -- Debbie Adams and Ron Logan, Nancy Kennedy, and Judy and Tyson Kennedy, Mach Industrial Group, and Shirley and Randy Meyer -- gathered and purchased the Reserve Grand Champion Junior Market Turkey for $177,000. 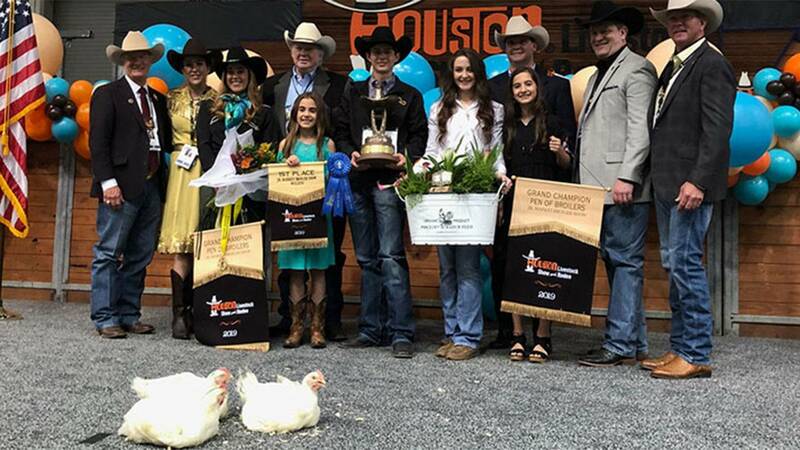 “If it hadn’t been for the Houston Livestock Show and Rodeo, I don’t know where I’d be right now,” Tyson Kennedy said.